Ultralyd – Should we use it. Ultrasound is a wave of compression where the particle (red dot) moving back and forward in the wave pressure, but when wave is passing around the particle and through the tissue the particle will stay and osciliation around it’s original point. When these particle oscillate the ultrasound makes a increase in the molecular motion, which increase the chance of particle collusion. These collusion generate heat in the tissue. When we bring a greater amplitude (intensity) and frequency of motion (the particle oscillate faster), we boost the chance of collusion and therefore more heat. The above explanation is often use to explain the thermal effects from ultrasound. But there are many modalities that can create this thermal effect. 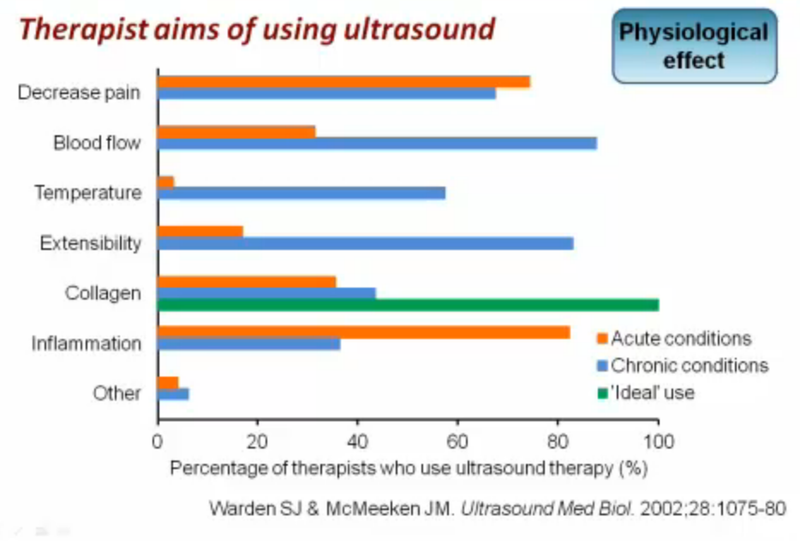 Other explanation for using ultrasound is because it creates a continues compression to the tissue. This compression comes from the ultrasound wave. We know this phenomenon when we are standing in front a speaker playing loud music and we can feel the sound wave from the speaker, but we might do not hear the wave (unless the bass is completely turned up). This compression wave is believe to stimulation fluid flow. These forces creates a cellular transfusion between the membrane and alters the transport of ions and the molecules across the cell membrane. 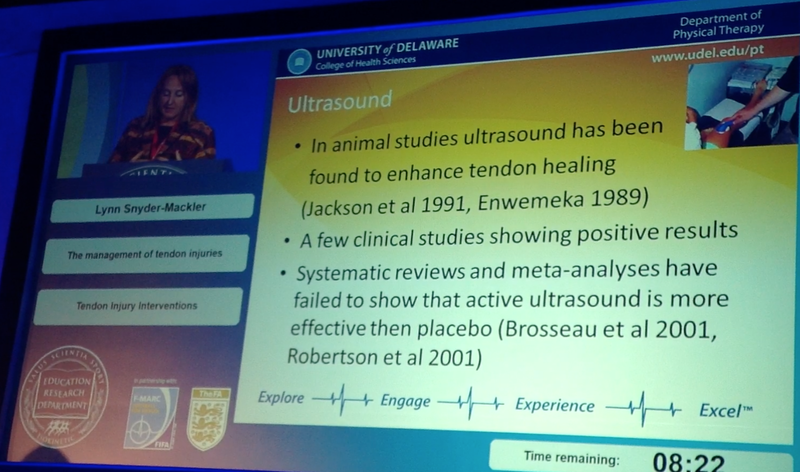 We can have a lot reasons to use ultrasound but the ‘ideal use’ is properly to facilitate collagen recovery instead of believe we are heating the tissue and create increase blood flow. Any intervention is an intervention, and all intervention can have an effect. They can either be effective, trivial (No effect) or harmful. 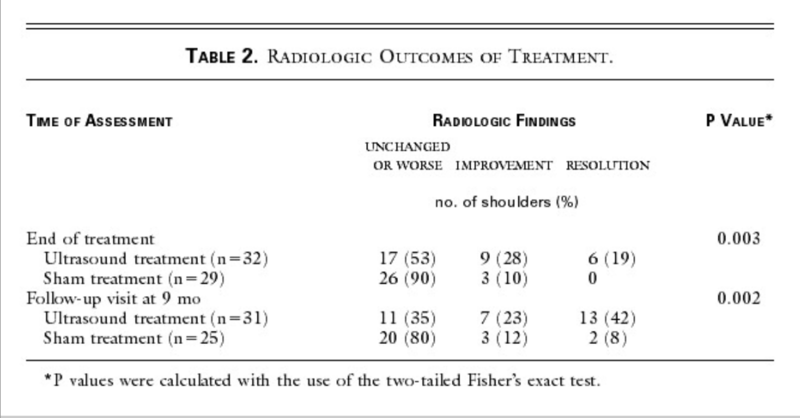 I do not believe that ultrasound can be harmful in any way, opposite I only think that ultrasound will be beneficial for your therapeutic wallet. The most common are that it has a trivial effect, and the time you give to the injury to heal between your sessions, exercises and load management are the most effective strategy. However, do you have an ultrasoundmachine an your client are your neighbor, then you can try to lend him the ultrasound for daily use.